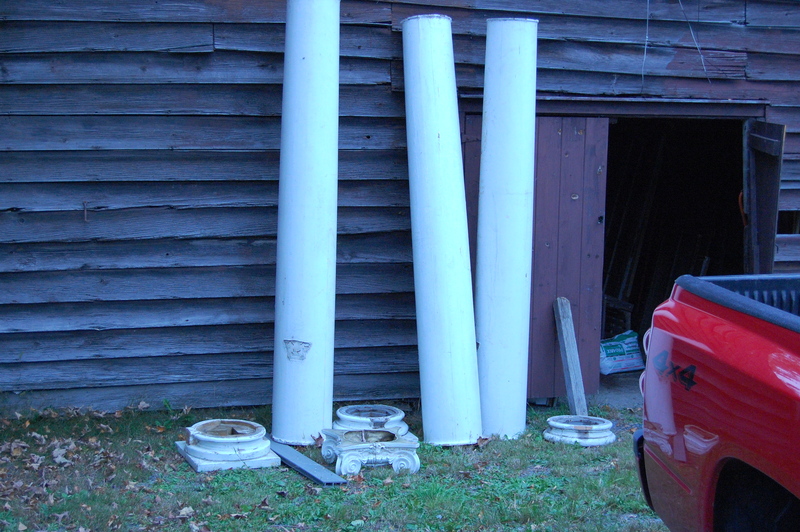 here are three very large exterior columns,taken from a bldg. being updated. they are from 1902 and measure 16 and one half inches at the base and are about nine feet in height. these are local pick up or delivery for a fee. call first. all plinths and capitals are not present.